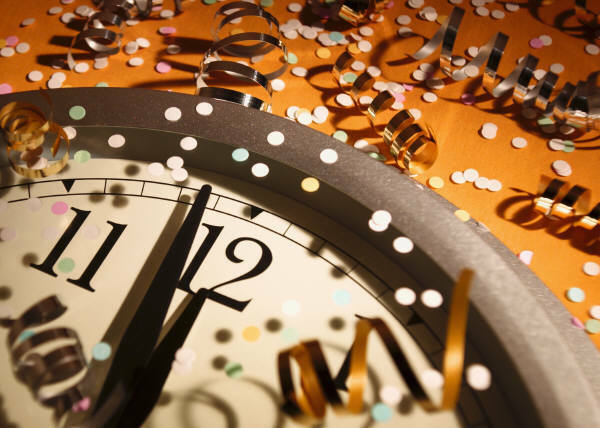 I’ve always heard that whatever activity one is doing when the clock strikes midnight on New Year’s Eve is what they will spend much of their time doing throughout the coming year. 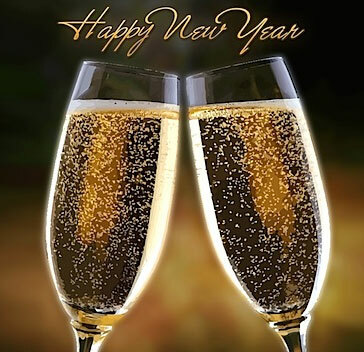 So, you’ll want to make sure you are doing something fun like drinking a toast to good friends, or kissing that special sweetheart. With that sentiment in mind, I’ll be sure to have a few candles burning when the clock counts down the seconds until the new year.What better way to celebrate the new year than with Flare candle fragrances by Soular Therapy. With scents like Bubbly and Fresh Cut, these Flare candles have just the thing for New Year’s Eve. Soular Therapy makes these 7 ounce tumblers in Texas, but they don’t sell directly to the public, so I needed to find a website that carried these products. 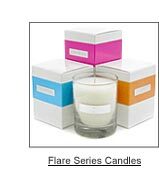 When I visited Soular Therapy’s website, I found several links listed in the “Buy Online” section, but only two of the suggested stores actually carried Flare candles. I found a wide selection of scents available at The Sensual Candle, and a limited selection at The Soap Opera. The tumbler jars for this review were from ScentsandSprays.com. The clock is ticking down, so let’s get this scented party started. These three Flare candles all had a modern look. Each thick bottomed glass tumbler had a small silver “flare” logo sticker on the side. The soy wax was left a natural creamy white color. Each single wicked tumbler was packaged in a white box with a metallic colored sash around it. Bubbly had a golden stripe, Fresh Cut had a pink stripe, and Magnolia had a greenish yellow stripe. All three had their scent name attached on a metallic sticker with raised letters. The boxes made for a sleek, upscale look. What’s your New Year’s resolution… to burn more candles? That’s one resolution I could surely keep. It’s right up there with eat more chocolate and spend more time on Facebook. It’ll be tough, but I’ll try my best. Whatever your resolution may be, it won’t officially go into effect until January 1, so until then… POP! 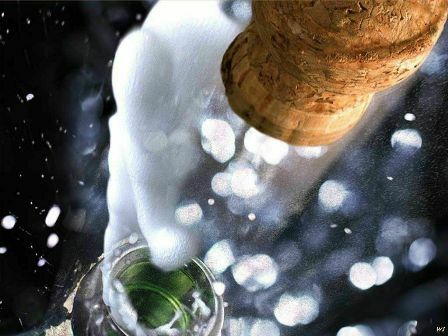 that champagne cork and lift a glass to the brand new year. It’s time to celebrate! Bubbly from Flare was light and lively. It had a crisp, almost citrusy note to it which reminded me of a lemon lime soda. Bubbly didn’t smell heavily of alcohol, and though I could smell notes of a light grape, it wasn’t an overpowering wine scent. What I smelled was ultra fresh, lightly fruity and yes, actually effervescent. I enjoyed having this candle scent directly in front of me on the desk, but to test out its strength, I moved it into my powder room. After an hour it gave only a light fragrance to the room. I wasn’t altogether surprised by the light throw, as the candle was a 7 ounce size and the scent notes were naturally light. Since I enjoyed the actual fragrance and wanted to get the most out of this candle, I eventually moved it back to my desk and burned it only when I would be working there. Fresh Cut had a sweet, somewhat rosey smell… like a bouquet that’s just been delivered. I imagine this is what a flower delivery person gets to smell all day long in their truck. I smelled rose, perhaps lily of the valley too, but the scent was more complex than just those simple floral notes. It really did smell like a mixed bouquet of cut flowers along with leafy ferns. Fresh Cut was the strongest of the three Flare candles I sampled, and it got the best reaction from my family, who are always too willing to voice their opinions on my various adventures in scent. Of the three, this scent was the crowd pleaser. It was the only one I could smell when placed in my open main area. It didn’t completely fill the space, or chase me out of the room by any means, but I could catch wonderfully fragrant whiffs of it whenever I passed nearby. I just adore fresh clean floral to kick off the new year in style. Fresh new year… clean start… and a fresh clean new fragrance. It just feels like a renewal. The sweet, fragrance of a magnolia tree in bloom is an unmistakable scent of the South, and as the new year begins, and winter has us in its grip, what better way to tease the mind into thinking spring. Magnolia trees have big billowy white flowers with floppy thick petals. 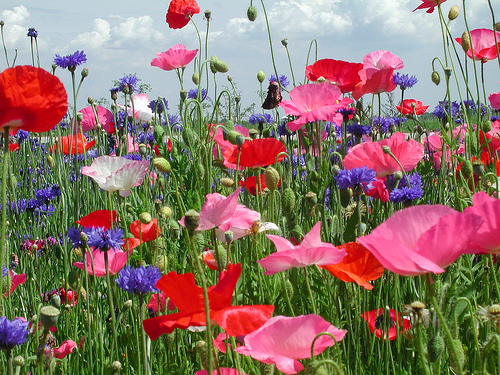 In the spring and summer their scent fills the air. Oddly, I have found it difficult to find a duplicate of this scent in candle form. There are several interpretations and many lean more toward perfumed notes rather than a fresh, natural scent. Magnolia from Flare is an exception. This candle did, indeed, smell fresh and natural. It had a lemony fragrance that always comes to mind when smelling an actual magnolia blossom. Flare went even farther with its natural interpretation by adding a very green, herbaceous quality to Magnolia which completely raised the bar of expectation for any other magnolia scented candle. It smelled like a flowering tree… leaves, blossoms, bark and all. Hats off to this fragrance. The Soular Therapy website had very clear burning instructions regarding their Flare candles. (link) One of those instructions was to not trim the wick before the first burn. Unfortunately, I didn’t see this until after I trimmed the wick on one of the candles. I can tell you by direct comparison, the candles that I left intact for the first burn established a melt pool much more thoroughly. In fact, I needed to scoop out a bit of wax from the candle I had trimmed too early and restart the whole process. I don’t fault the candle since there were burn instructions offered. The two other jars that I lit, wick intact, formed a better melt pool right away and got off to a better start altogether. All three candles burned slowly and had a long burn time. The flame stayed strong but small which made the candles burn cool and clean with no flickering and no soot. I enjoyed these three clean, crisp scents to start the new year off right. Bubbly was a sparkly surprise, like Champagne without the hiccups. 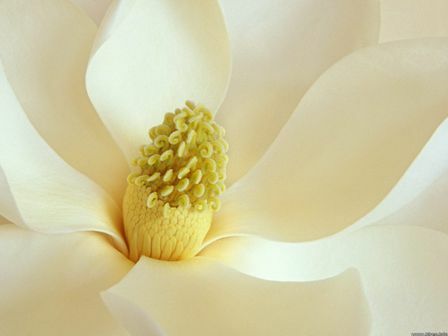 Magnolia had a rich, lemony scent, and Fresh Cut filled the air with flowers and greens. After December’s month long scentapalooza of holiday pines and heavy bakery blends, these three bright, refreshing scents were a welcome change of pace. The Flare candles I tried smelled and looked sophisticated and opulent. I recommend giving them a try in smaller spaces. For me, a new year meant trying a new candle company. Maybe that’s what I’ll be doing most often in the coming months.